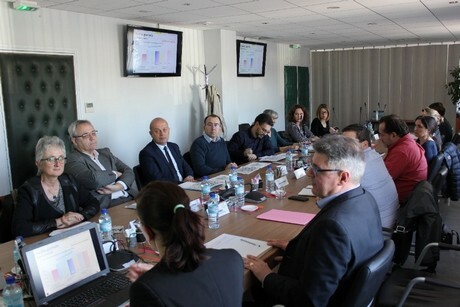 As every year at the “Quality Assessment Saint-Charles” convention, a delegation of representatives of the Administration, led by Mr. Joël Bonaric (Director CCRF and Metrology of the Direccte Occitanie) communicated, on Wednesday, February 27th, 2019, the “Quality Assessment Saint-Charles” report for 2017/2018. The interactions between professionals and territorial representatives of the Administration in charge of the controls of fruits and vegetables, are always oriented towards the continuous improvement of the approach. They have also allowed to determine the lines of work to be pursued for 2018/2019, for the benefit of an overall optimization of the normative, sanitary and hygiene autocontrol of food products, in accordance with the signed convention. 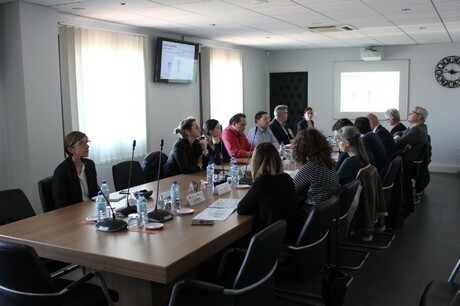 A new deadline has already been set at the end of the meeting, along with an invitation to participate in the next meeting organized by the “quality” managers of the signatory companies, on April 24th at the MEDFEL 2019.